‘I should like to begin by quoting from the 2006 Wapping Group book: “The Wapping Group also has an Honorary Membership category but in almost every case this has been awarded to full painting members who for one reason or another were unable to continue painting. The single exception to this was Ernest King, a staunch friend and supporter of the Group, who was never a painting member”. Now, when I first learnt of the Wapping Group archives, I’ll admit that I was intrigued; when I discovered that they were at the time stored in cardboard boxes in someone’s loft (Roger Dellar’s loft, I think), the thought did cross my mind: they were safe enough, but might be at risk from damp or worse in the longer term. They were also, I learnt, in disarray having been plundered for display purposes and hurriedly returned. So the conundrum was how to safeguard this invaluable heritage as effectively as possible. In stepped Martyn, who has lovingly photographed every image and document, and who continues to update and improve the archives with undiminished enthusiasm. If the worst were to occur now every member of the group has a disk on which the elements of our heritage are recorded for posterity. I reckon it is likely that nobody alive knows more about the Wapping Group, and that few people in recent times have done such spectacular service to the group. In sixty six years the Group has had only one non-painting honorary member, so this is a very rare occurrence, but (I suggest) in Martyn’s case, a worthy instance. 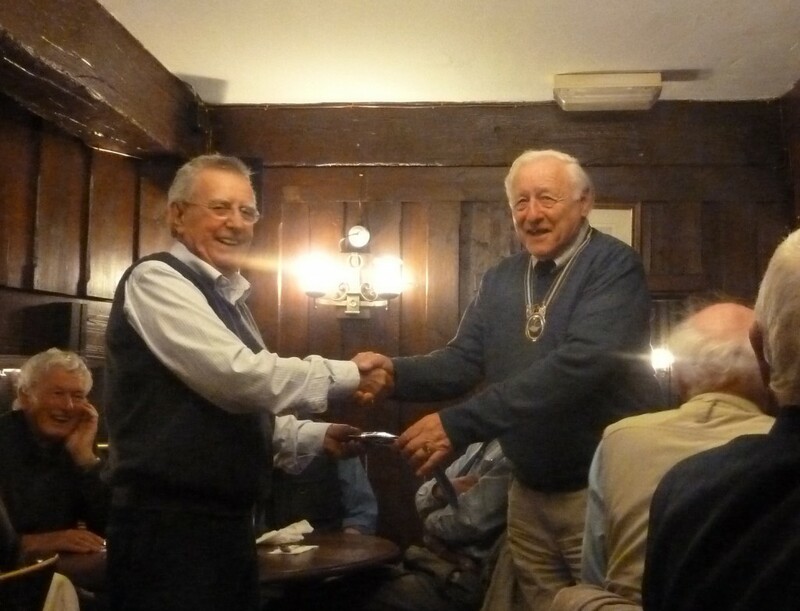 Therefore I should like to ask our President Robin Mackervoy to present Martyn with a Wapping Group tie in recognition of his considerable support of the Group and as a sign of his election to Honorary Membership of the Group’.